During a violent storm, a filmmaker escapes New York, accompanied by a woman who may be his therapist. A lawyer in the throes of divorce seeks refuge at her seaside cottage only to find a vagrant girl living in it. A dilettantish banker sees his ambitions laid bare when he comes under the influence of two strange sisters. A group of friends gathers in the California desert for one last bacchanal, and a journalist finds his visit to the French country home of a former tennis star take a deeply unnerving turn. 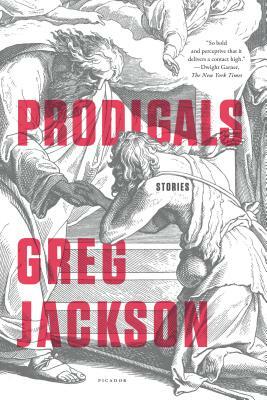 Strivers, misfits, and children of privilege, the restless, sympathetic characters in Jackson’s stellar short story collection, Prodigals, hew to passion and perversity through life’s tempests. Theirs is a quest for meaning and authenticity in lives spoiled by self-knowledge and haunted by spiritual longing. Lyrical and unflinching, cerebral and surreal, this collection maps the degradations of contemporary life with insight and grace.